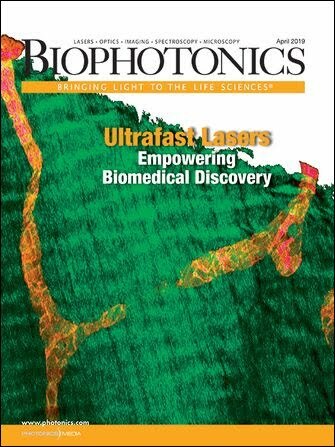 Biophotonics has revolutionized many research fields, with direct effects on human well-being. Obviously, imaging requires microscopes and contrast agents. An open-source, sharing-driven model of technology development and dissemination can foster discoveries at a faster rate than under the status quo. For the past decade, the Janelia Research Campus at the Howard Hughes Medical Institute (HHMI) has put enormous effort into the development of cutting-edge microscopes and contrast agents — both are DNA-based tools that can be genetically delivered and small-molecule reagents that are physically added to specimens. HHMI, and specifically Janelia, has made open dissemination a backbone of its tool-development efforts. Thousands of packages of DNA-based, small-molecule tools have been sent at no cost around the world — often before publication — and thousands more through nonprofit organizations such as Addgene, based in Cambridge, Mass. Detailed microscope plans are available on Janelia’s website, and building workshops are held on-site to facilitate knowledge transfer. The Advanced Imaging Center at HHMI (a collaboration with the Gordon and Betty Moore Foundation) hosts scientists for free to use best-in-class microscopes before commercialization. Janelia patents useful advances when it makes sense to facilitate dissemination, but other biophotonics tools simply go into the public domain. This open-source attitude has advanced life science, particularly neuroscience, by leaps and bounds. And, from a selfish perspective, nothing accelerates tool uptake — and with it name recognition and citations, for example — like giving it away for free. At Janelia, we realize our great privilege to be here. But everyone can help. Microscopes are sold at high markup, often with proprietary file formats to discourage open-source software use and to silo customers into single-company loyalty. Small-molecule and DNA-based reagents have historically been sold by companies at high-gross-margin markup (>95 percent), frequently with little reinvestment in research of improved products. Molecular Probes, of Eugene, Ore., used to have an immense small-molecule catalog, but a series of corporate takeovers and profit-wringing has shrunk this to only their cash cows. Many useful compounds are currently unavailable to researchers. A sharing-driven model of technology development has advanced life science, particularly neuroscience, by leaps and bounds. Nothing accelerates tool uptake like giving it away for free. Nonprofits such as Addgene are shaking up the landscape of DNA-based reagents by stocking many more than companies have ever done, selling them at near cost, and expanding services such as virus distribution. Small-molecule tools are not regenerable the way DNA is and require more infrastructure to create and disseminate. But academic research has led to improved reagents and better chemistry, allowing the synthesis of compounds at a tiny fraction of the price and at higher quality than is available from companies. The time is ripe for large-scale efforts to make and distribute useful small molecules at cost. Government agencies could offer remedies. When we bring up the idea of nonprofit tool dissemination with colleagues at the National Institutes of Health (NIH), they express concern about what a given member of Congress will think if we take jobs away from their state. Meanwhile, runaway reagent and instrument costs from companies are stressing the NIH budget. Government agencies also could help address this funding problem by creating a mechanism to disseminate reagents from NIH-funded tool-builders to NIH-funded biologists. Currently, no large-scale, low-cost dissemination mechanism exists. What’s worse, funding skews toward for-profit entities at the expense of nonprofits. Small business innovation research (SBIR) grants are relatively easy to get, but nonprofits must compete with academic entities for NIH Research Project Grants. Companies have their place, of course, but the notion that they are the only or best engines of innovation and dissemination is outdated and self-serving. Universities and investigators play their part. Universities encourage overpatenting to boost revenue and prestige. Investigators realize that patents look good on their CV during tenure review. In reality, few institutions or people get rich from tool invention — those that do frequently exploit loopholes such as cornering the market on critical parts or chemicals, creating a monopoly. Meanwhile, the intellectual property landscape becomes ever-more cluttered, hindering innovation through the implicit threat of litigation. Patent trolls, nuisance lawsuits, and hedge funds make a bad situation worse. Universities and institutes could explicitly reward their faculty and staff for the creation and low-barrier dissemination of broadly enabling technologies that empower discoveries. Instead of pushing professors to spin out startup companies, how about low-overhead, subsidized startup nonprofits in university incubator space? There are reasons for optimism. Tool development continues at breakneck speed. Large-scale, open-source software efforts are becoming mainstream in the field. Similar efforts in microscopy and reagents could boost innovation, stretch research budgets, and create jobs worldwide. As discoveries pour in, companies could focus on tasks that play to their large economies of scale, such as shepherding potential drugs through decades-long clinical trials, large-scale production, distribution, and other hurdles. Sharing-driven approaches could lead to a brighter future for all involved. Loren Looger, Ph.D., is a group leader at the Janelia Research Campus at the Howard Hughes Medical Institute in Ashburn, Va. His research areas include the design and optimization of imaging reagents for all fields of biology; email: loogerl@janelia.hhmi.org.